Our 3 Gold Star Great Taste award winning Scottish gin is infused with cinnamon, cloves and mixed spices. Great on the rocks or with ginger ale and a chunk of Orange to bring out the citrus notes. Try serving the ginger ale heated with cinnamon - a real warmer! How it got its name - the colour of bullets - it is ideal in a hip flask for "going up the hill" during grouse season, up a Monroe or even around the golf course! In 2016 we entered our very first award with this gin. Out of over 10,000 entries to the awards only 149 received this highest accolade of 3 gold stars. 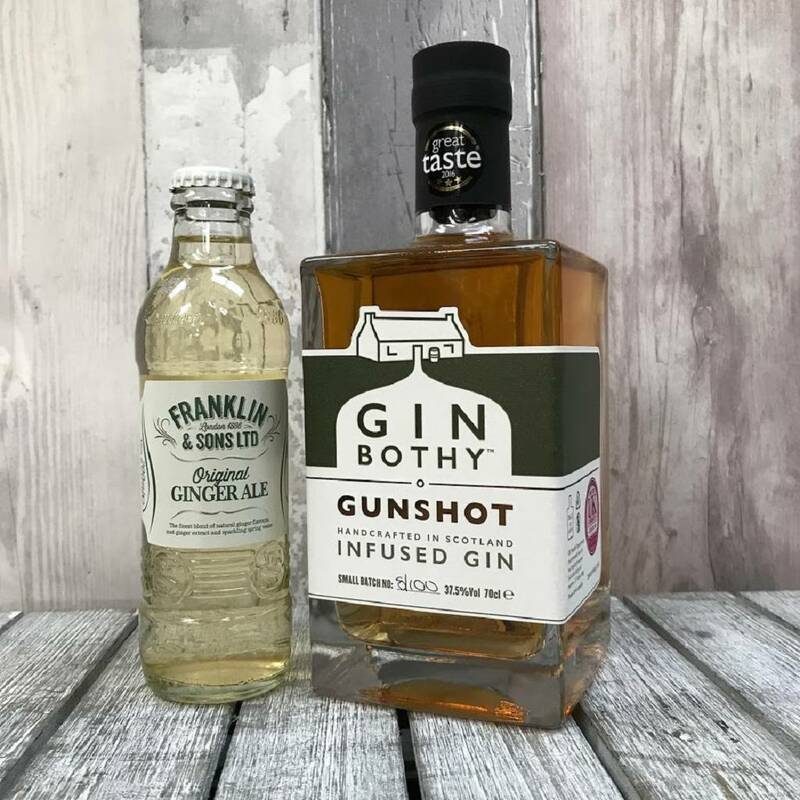 Winning this accolade made our Gunshot GIn Scotland's only 3 gold star gin winner, a feat we are very proud of. "Packs a punch; full of balanced spices and layers of complexity. Very warming and smooth. The nose tells all - a bouquet of spice." Great Taste 2016 Judge's comments. 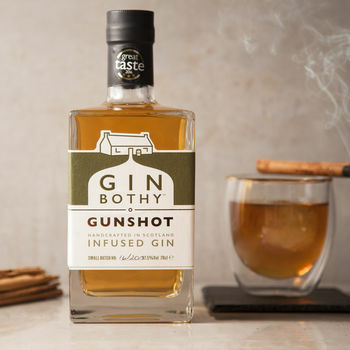 Gin Bothy distilled gin spirit, our special spice mix ingredients and sugar create this 37.5% ABV gin. It never lasts long, but best sipped within three months of opening. Store in a cool, dry place out of direct sunlight.